The Mi Note 2 is yet to officially go on sale, but the wait shouldn’t be long now if the suggested November 4 date is met. Meanwhile, the Mi Note 2 already had its first sale today and it went incredibly well. Mi Note 2 officially broke the Mi 5 record, with its first sale concluding in only 50 seconds. 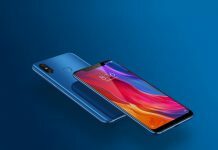 Now, to be fair, we can’t exactly be sure how many units Xiaomi put out in the initial wave, but nonetheless, it is an impressive display of popularity. The smartphone was announced a few days ago. It sports a 5.7-inch Oled flexible display with a 77.2 percent screen-to-body ratio and a 110 percent NSTC gamut. It is powered by a 2.35GHz quad-core Snapdragon 821 Performance Edition SoC. The Mi Note 2 bears a 22.56-megapixel rear camera with a Sony IMX318 Exmor RS sensor, a f/2.0 aperture, PDAF, and EIS with its own 3-axis gyroscope for 4K video stabilization. On the front, it bears an 8-megapixel Sony IMX268 Exmor RS sensor, and a f/2.0 aperture, apart from a group selfie feature and Auto Beautify 3.0. For storage, There are two variant available 4GB RAM/ 64GB inbuilt storage model and 6GB RAM/ 128GB. It packs a 4070mAh battery and Quick Charge 3.0. It runs on Android 6.0.1 based MIUI 8 on top. The last has support for global LTE bands (with support for up to 37 LTE bands).